TOP ROW. Quiet, Having less, Sue Williams A'Court Collage/Series 5/Anonymous 61, Redondo Chair by Patricia Urquiola, Vintage Finds. BOTTOM ROW. 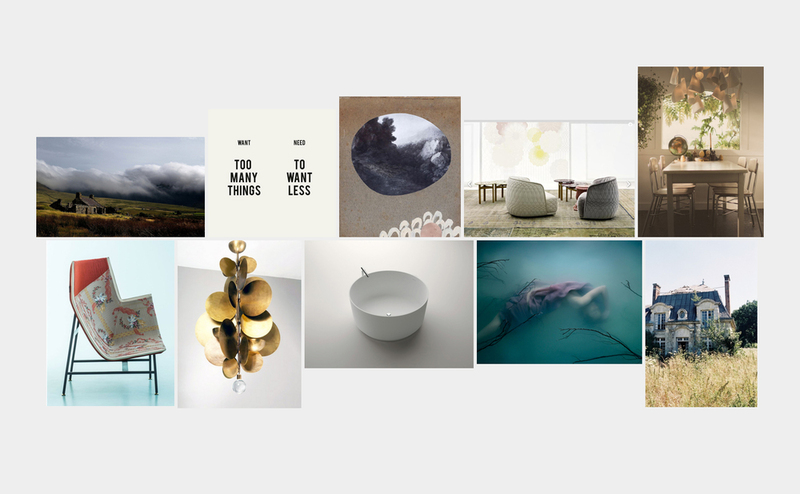 Paper Planes Seating by Doshi & Levien, Bocci Pendant Clusters by Omer Arbel, In-Out Bath by Agape, Toby Burrows Photography Soliloquy Series, Vacant houses.